At ALA we believe that ALL English learners who want to learn English should have access to the best learning experiences and support available. Online study is a good option for English learners who are not able to come to the U.S. to study. You can enroll in our Intensive English Program (22 hours a week) OR our English for Academic Purposes Program (7.5 hours a week) to make your English learning fit into your current study or work schedule. We offer you the same curriculum taught by the same instructors at our campuses in the U.S.
We teach you via real-time online learning. You interact live with our instructors and other students from different countries in a virtual real-time classroom. 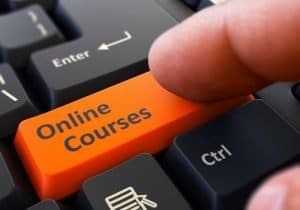 You receive the same depth of instruction, use the same textbooks and supplemental materials, and participate in the same types of learning activities as in our real classrooms in the U.S.
You access coursework, class notes, assignments, and grades in our online learning management systems just like our students in the U.S. Your work is graded following the same standards used in our U.S. classrooms. You receive the same promotion and graduation certificates as our students in the U.S. Your certificates of promotion and graduation from our programs give you the same privileges (TOEFL waiver, pathways to American universities) that our students in the U.S. receive. Online help is available to you 24/7 through our IT department. All our student services staff members are available and ready to assist you in any way they can. You can attend class from your home, office, or school.